Friends of the Bayfield Library volunteers Barbara Brown and Gayle Dunn (standing rear left side) assisted Librarian Anny Johnston (centre) in hosting "Dr. Seuss on the Loose" on the afternoon of Jan. 26. 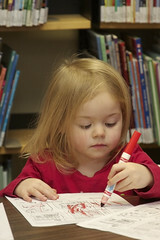 This Family Literacy Day event was well attended by several preschoolers and their parents. 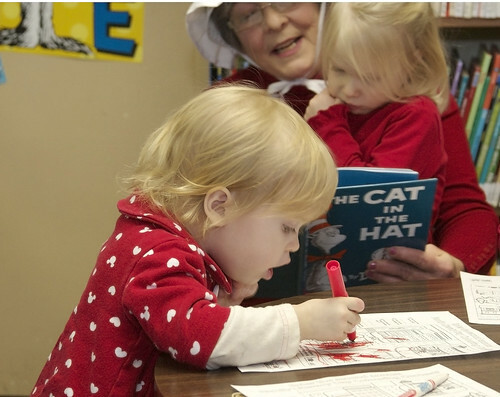 About 10 preschoolers and their parents were kept busy with all things Seuss at the Bayfield Library on Main Street on Jan. 26. 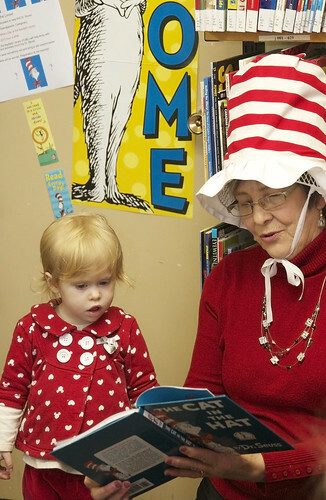 The event entitled, "Dr. Seuss on the Loose" was held in conjunction with Family Literacy Day. Friends of the Bayfield Library (FOBL) were on hand to help Librarian Anny Johnston with readings and activities involving Dr Seuss. Children were encouraged to wear something red and bring a red marker or crayon. Cupcakes were also served at the end of the event! After a peek at the book, Adella Gascho returned to coloring while in the background Gayle Dunn's granddaughter Abigayle VanBakel takes a turn with the book. 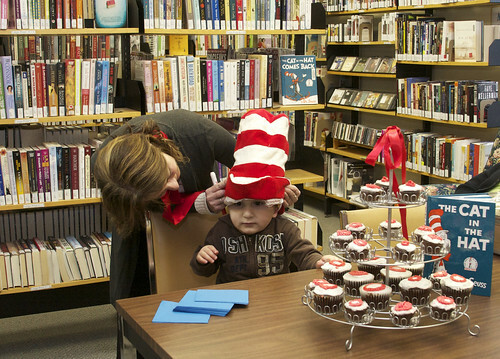 Greyson Roth, 2.5 years, of Bayfield, was a bit more interested in finding the cupcakes than he was Dr. Seuss but Librarian Anny Johnston tried to peak his interest in Seuss by letting him wear the famous Cat in the Hat chapeau. The FOBL has been created to promote the library as essential to the community’s quality of life. As enthusiastic supporters, FOBL intends to enhance the profile of the Bayfield Library and to advocate for library services and programs. To become a member of the FOBL, please send an email or call Clair at 519-565-2135. All the participants were asked to wear red and bring a red marker or a crayon to the event. Lila Egbers, 2, of Bayfield, followed both instructions very well. Connor Gilbert, 3, of Bayfield listened to the story of The Cat in the Hat while working on an activity page. Adella Gascho, 2, of Zurich, was for a moment captivated by the pictures in the Dr. Seuss book, The Cat in the Hat. It was read to the preschoolers by Friend of the Bayfield Library volunteer, Gayle Dunn. 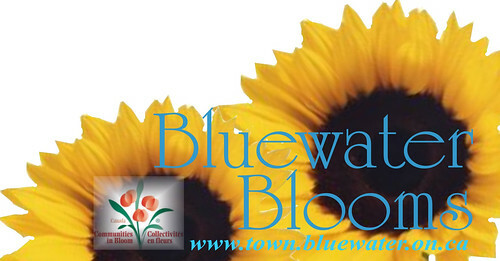 The Bluewater Blooms Committee is striving for five – blooms that is – in 2012. According to Susan Beatty, of Bayfield, a committee member, the group met recently to plan ways they can help the municipality do well in this years contest. For the past two years Bluewater Blooms has achieved Four Blooms and this year they hope to move up a petal or two to Five Blooms, the highest ranking achievable. “The Municipality of Bluewater is pleased to participate in the Provincial Communities in Bloom program for a third year and is busily preparing to highlight the combined efforts of the municipality and our community volunteer partners,” said Kay Wise, chair and Jim Fergusson, co-chair, Bluewater Blooms Committee, in a recent letter. They noted that at inception in 2010, the Bluewater Blooms Committee embraced a “Sunny Side Up” theme featuring the sunflower with enthusiasm. They encouraged all citizens to plant this theme flower. The Bluewater Blooms Committee has also annually selected preferred flower colors and used them in community sidewalk planters. They hope everyone will participate in the Communities in Bloom program by ordering seeds and plant material in the preferred colors for the 2012 season – white, red, deep blue and rosy pink. Bluewater will participate with other communities in its population category. Specially trained volunteers judge the municipalities. The efforts made by residents, municipal bodies and all forms of businesses are judged based on eight criteria. The judges travel across Ontario during the summer and evaluate each location based on these factors as set out by Communities in Bloom Ontario: floral displays, turf and groundcovers, landscaped areas, natural and cultural heritage conservation, tidiness, environmental awareness, tree/urban forest management and community involvement. On June 5, 2011, the Sarnia Section of the Canadian Vintage Motorcycle Groups drew a large contingent of motorcycles to the village’s Main Street. In fact “Bayfield Old Bike Day” now in its third year has become so successful that the cycles will be parking in Clan Gregor Square in 2012 so that visitors can better enjoy the sights and sounds of these classic steel beauties. All makes and models of older motorcycles are most welcome to the park on June 3rd from 10 a.m. to 4 p.m. Spokesperson Jerry Baljeu noted there is no registration fee, no official judging, no vendors and it is not a swap-meet. “Our featured focus group this year will be the 1960s time period of the “Mods ‘n Rockers” with their classic scooters and ‘ton-up’ Café Racers,” Baljeu said. Bike models often range from 1915 to the 1980s. As this “Show and Shine” will be held in a park, riders are asked to bring something to place under their bike’s side and centre stands. The “Bayfield Old Bike Day” Committee is looking for a club or association willing to put on a public breakfast for the morning of June 3rd in conjunction with their event. Baljeu is also seeking business owners who might like to participate by way of additional sponsorships. “With the June date, Bayfield shop and restaurant owners will no doubt enjoy the many benefits this event will bring to the village…” he said. For more information on the show itself or the breakfast or sponsorship opportunity, contact Baljeu by email. Family Day Weekend in Bayfield is going to the dogs and the excitement is building. Weekend events from Feb. 18-20 are centered on Danny the Dog and his adventures. But just who is Danny anyway? Many people will know him as the “canine-in-residence” at the Black Dog Village Pub and Bistro on Main Street. He can often be spotted napping out front of the establishment or going for strolls in Clan Gregor Square. He has been gracious enough to lend his likeness to represent this weekend of fun for the whole family. Those who visit the village over the course of the three days will be able to pick up a passport to Bayfield between 3-5 p.m. each day at the Little Inn. Then they can help Danny get this passport stamped around the village. The more scheduled events will begin Saturday at 1 p.m. when the Bayfield Public Library will be the site for “Dr. 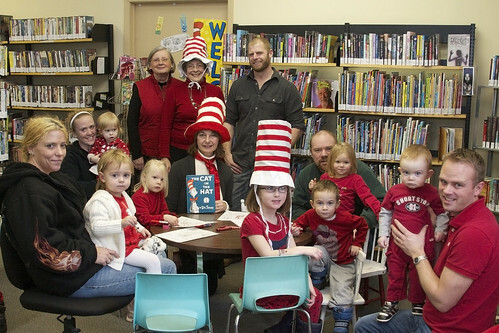 Seuss on the Loose, Again!” Held originally in recognition of Family Literacy Day on Jan. 26 the Friends of the Bayfield Library are offering an opportunity for even more youngsters and their parents to celebrate all things Seuss, with a reading, games, coloring, mazes and more. Following the mayhem that only Dr. Seuss can offer, families should head to the Little Inn Guest Cottage for 2 p.m. as the talented John Powers will put on a show incorporating puppets and music to the delight of all ages. Tickets will be available soon at www.ticketscene.ca. Then a good friend of Danny’s will be on hand at The Village Bookshop to read an adventure with his many fans. Yes, Clifford the Big Red Dog is coming to town. He will read a story at 3:30 p.m. on Saturday and then again on Sunday. From 4-7 p.m. on Saturday folks are invited back to the Little Inn Guest Cottage to craft their very own lantern to be used on an illumination walk down Main Street starting at 7 p.m. Those who wish to take part in the walk should gather at the Little Inn Guest Cottage and dress for the weather. Main Street Optometric and the Little Inn of Bayfield are the sponsors of this walk. On Sunday afternoon people are encouraged to lace up their ice skates and head to the Bayfield Arena for a turn or two around the ice surface. The arena is open from 1-3 p.m. and there is no admission fee. Starting at 1:30 p.m. in Clan Gregor Square there will be a Snow Sculpture Competition. Edward Jones is the sponsor of this event. If skating and sculpting makes participants a little chilly they can wander over to the Bayfield Town Hall for some comfort food to warm them. Now in its second year, “Soup’s On, Bayfield” is a fundraising event for the Bayfield Town Hall Heritage Society. Those who attend can sample favorite soups prepared by local restaurants, church and community groups. The tasting will be held from 2-4 p.m. Tickets for this event will be available at the door; participants can sample four soups for $5. Those who attend can vote for their favorite soup as part of the People’s Choice Award, in addition, the soups will be judged by Bayfield Chef Richard Fitoussi. Monday afternoon, families are invited to return to the town hall for a family friendly movie and some popcorn. The film will begin at 2 p.m. The Optimist Club of Bayfield is sponsoring this free event. Families are encouraged to stick around after the movie because from 3:30-5 p.m. children will get to learn the art of baking and decorating with Barb the Baker. In addition to these fun family events, local restaurants, spas and shops are offering special menus, packages and opportunities for families to indulge and have fun. Plus more activities may be added to the schedule as Family Day Weekend approaches so please visit www.villageofbayfield.com or www.my-bayfield.com to keep up-to-date. Water quality in the Bayfield River Watershed will be one topic of discussion at the next meeting of the Bayfield Ratepayers’ Association (BRA) to be held on Feb. 4. Brynn Upsdell, of the Ausable Bayfield Conservation Authority, will make a brief presentation of her recent report concerning water quality in the Bayfield River Watershed that she prepared for the BRA. References will be made to tributaries, Bayfield Harbour, Main and South beaches, and the Blue Flag Program. The BRA meets on the first Saturday of the month at 9 a.m. at the Bayfield Lions’ Community Building. Reminders of the monthly meetings can be found on the Post Office Notice Board and on the BRA website. The very popular Bayfield Reads, held in conjunction with CBC’s Canada Reads, is back for 2012. Those who never miss this event should mark their calendars for Feb. 5 and encourage others to join in the fun. The debate, hosted by The Village Bookshop, will be held at the Bayfield Town Hall starting at 2 p.m. The cost to attend is $5 and tickets can be reserved at the bookshop. The music of Michael Jackson will be featured at the 2012 edition of the Bayfield Skating Club’s annual carnival. The club members will present “Michael Jackson King of Skate” on Feb. 19 starting at 2:30 p.m. in the Bayfield Arena. Admission to the show will be $5 per person; children five years and under are admitted free. Following the performance, people are invited upstairs to the community centre for a Spaghetti Dinner The tickets for this club fundraiser will be available at the door. The cost will be $10 per person and once again children five and under are free. Prepare yourself for another exciting series of Toronto Film Circuit films brought to you by the Bayfield Film Society at the Bayfield Town Hall. The films will be shown on the second Thursdays of the month at 7:30 pm. Subscriptions for the four movies are $35; or tickets can be purchased at the door for $10 per film. Seating is limited so it is suggested that those who wish to attend should get their subscription early. The spring schedule of films include: The First Grader, March 8; Margin Call, Apr. 12; Sarah’s Key, May 10; and The Guard, June 14. The final film will begin with a wine and cheese celebration at 6:30 p.m.
Tickets can be ordered from: Lynn Gillians, 519 565-5884 or by e-mail ; Brian Carrier, 519 565-2835 or e-mail ; Larry Dalton, 519 565-5737 or e-mail; or Margo Robeson, 519 565-2827 or e-mail. The Bluewater Heritage Committee believes that just looking at the streetscapes and side roads of the municipality demonstrates how important conservation of heritage buildings is to residents of Bluewater. That is why they welcome observers to their meetings. Their next meeting will be held on Feb. 7 at 7 p.m. at the Bayfield Lions’ Community Building. 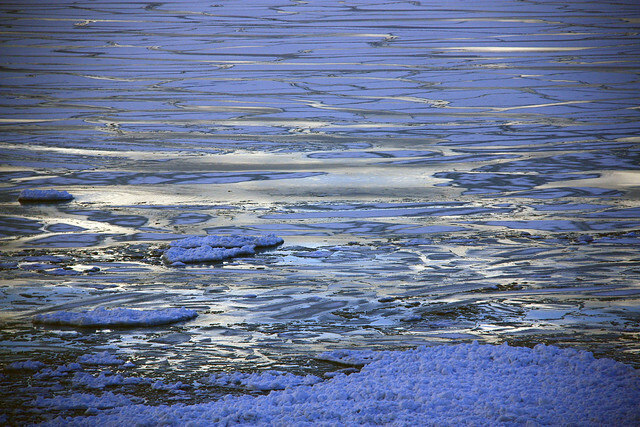 The Photography Club of Bayfield (PCoB) will hold their next meeting on Feb. 2. The topic for this month’s assignment is “Winter - Shapes and Texture” and the evening’s discussion will be centered around “Portraiture”. Anyone who has ever considered learning more about digital photography is invited to come to a club meeting. The meeting will begin at 7p.m. at the Bayfield Lions’ Community Building. All those who attend the next most anticipated event at the Bayfield Town Hall will be transported back to the era of the big band when a 1940's style cabaret will be held Feb.11 at 8 p.m.
Tickets are $10. There will be live music and dancing and a cash bar. For more information and for tickets please call Judy Keightley at 519 565-4515 or Kate Lloyd-Rees at 519 565-4404. February has arrived and there is one last session of Take Time in 2012 to enjoy. The congregations of the village’s four local churches joined together to offer an interesting series of programs designed to combat the winter blahs. The program will be held on Monday, Feb. 6 from 1:30-3 p.m. The cost to attend will be $3. Want to attend but don’t have the transportation needed to get to the location of the presentation? Rides can be provided, just call the session coordinator. Trinity Anglican Church will host the final session, a cooking demonstration by Kate Lloyd-Rees and Judy Keightley. The duo will share their knowledge on the creation of quick and tasty appetizers. “Small Plates for Sharing” is the topic of this presentation. To learn more contact the session coordinator, Helen Latimer, at 519 565-2792. One Care is sponsoring several programs for both men and women to keep up with their desire to stay fit. Dancefit and Toning classes are held on Mondays, Wednesdays and Fridays at 9 a.m. The cost is $40 for four months or $3 per class. The Sit and Get Fit classes are offered on Mondays and Wednesdays at 10:15 a.m. The cost is $1 per class. A new Friday Stretching Class is now being offered at 10:15 a.m. for approx. 45 minutes. This class is suitable for everyone and will cost $1. All of these fitness opportunities are held at the Bayfield Community Centre. For the more adventurous among us, there is Pole Walking. Walks for women are scheduled for Tuesdays and Thursdays while walks for men are held on Monday and Friday mornings All walks begin from 6 Main Street and begin at 8:30 a.m. Poles are provided free for those who require them. A Yoga Class will be held at the Bayfield Town Hall starting at 10 a.m. on Tuesdays. The cost for is $3 per class and participants are asked to bring a yoga mat. A time of quiet reflection and meditation follows the yoga class starting at 11:15 a.m. All in the community are invited to take part. Indoor badminton is played on Monday evenings at 7 p.m. at the Varna Complex The cost is $3 each and no experience or equipment is required to play. Call 519 565-2202 for more information on the above exercise opportunities. For those people looking to exercise their minds, Women’s Bridge is played every Wednesday at 1 p.m. No partner needed to play the cost is $1.50 per game. For more information call Brenda Blair 519 565-2881. Mah Jongg games are also offered on the first and third Thursdays of the month starting at 1 p.m. Call 519 565-2468 for more information. Both Bridge and Mah Jongg are played at the Bayfield Lions’ Community Building. Huron Ridge Acres would like to invite all in the community to participate in their Winter Walking Program - a terrific way to escape those winter “blahs”. On Tuesdays and Fridays during January, February and March the owners open the greenhouse from 10 a.m. to 4 p.m. for people to come and walk on the ice-free, snow-free sidewalks. Those who take part can enjoy the smell of things growing, and the sunshine on days when it shines, along with some relaxing background music. There is no charge – it is the Steckle’s way of saying thanks to the community for their support of Huron Ridge. Zumba Bayfield! Your time to dance and smile 2012 style! Come out and join Jamie for this energized Latin based fitness class on Wednesdays starting at 7 p.m. at the Bayfield Community Centre. The cost is $10 per class. Join the Zumba Bayfield Facebook group page for updates. To learn more contact instructor, Jamie Thomas via email. Have you heard the news? A new monthly hearing clinic is being established in the village at Pharmasave Michael’s Pharmacy. The next date for the clinic is Feb. 28 (due to holiday week prior). The clinic will offer: hearing aid adjustments and repairs to all makes and models, no cost hearing tests, new prescription of hearing aids, wax removal, hearing aid battery sales as well as hard of hearing assistive devices. To book an appointment please call The Kincardine Hearing Clinic at 1-855-396-6026. Bayfield's own Gary Brandon is also known as "Petty Officer First Class" Brandon of the Royal Canadian Navy. 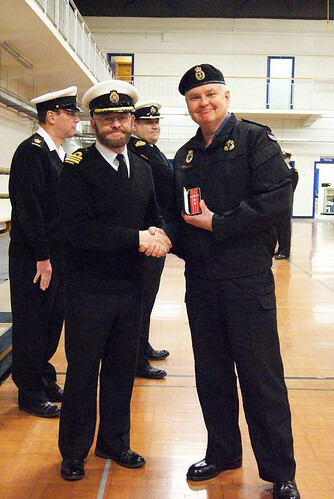 On Jan. 25th he was presented with his second clasp to his Canadian Forces Decoration Medal by the Commanding Officer of London's HMCS Prevost, Lieutenant-Commander Iain Findlater, CD. The second Clasp represents over 32 years of service and good conduct to the Canadian Forces. According to Stephen Beastall MMM CD, Petty Officer First Class, Operations Chief Her Majesty's Canadian Ship Prevost, it is quite rare for a member to receive the second clasp. The presentation was made at Her Majesty's Canadian Ship Prevost in London, ON. 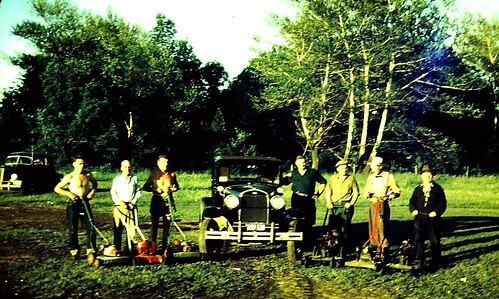 This week, records show that these men are from l-r: Bob Parker, Jim Cameron, Jack Fraser, Cliff Utter, Reg Francis, Charlie Scotchmer, and Les Elliott. They were photographed at the Bayfield Fairgrounds in June of 1955. Anyone remember what the lawnmowers were about? 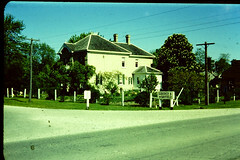 In Issue 133, according to records when this photo was taken in June of 1955 this house was the MacKenzie residence – it would later become known as Clifton Manor. In Issue 134, the Bayfield Fall Fair may still be about seven months away but we are able to take a look back at how the fairgrounds looked in 1956. Quite the crowd gathered! 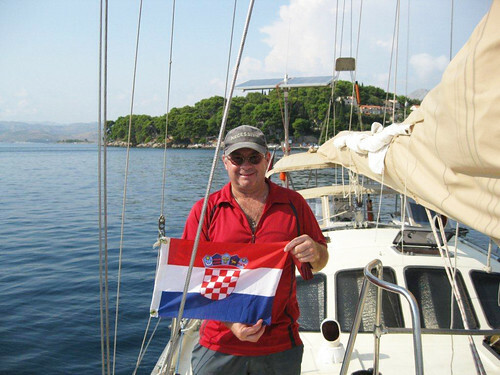 Dr. Dean Nisbett is shown raising the courtesy flag of Croatia after clearing into that country. Bayfield's Chris Thatcher was at the helm for Necessity's four mile transit of the Corinth Canal. This canal separates the Peloponnesus Peninsula from Attica (mainland Greece). 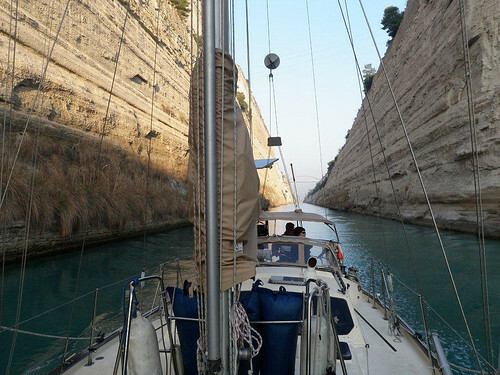 The Corinth Canal separates the Peloponnesus Peninsula from Attica (mainland Greece). Necessity is shown sailing in the Bay of Kotor. 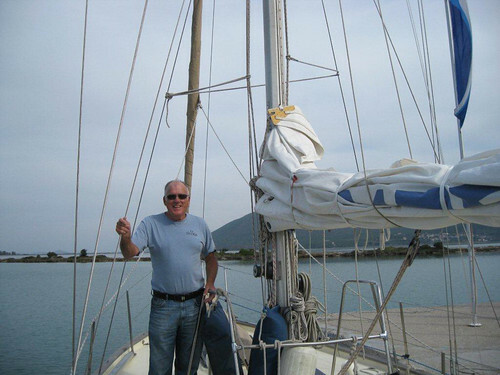 Tom Dawe, of Bayfield at Lefkas Island, Greece in the Ionian Sea. 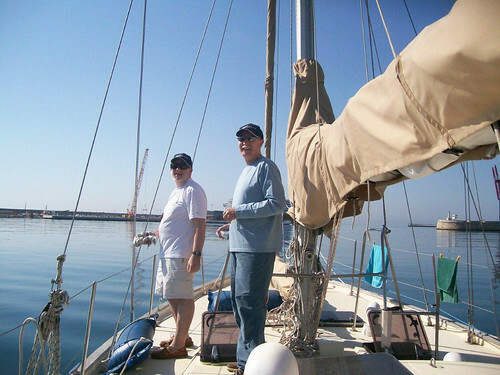 Dave Bieman (left), and his brother-in-law Sauli Ahvenniemi, of Sault St. Marie, on the foredeck of the Necessity off the Costa del Sol, Spain. Dean Nisbett was the featured speaker at the Bayfield Historical Society’s Annual General Meeting on Jan. 23. Nisbett, an unassuming optometrist by profession, but a swashbuckling sailor and avid historian by inclination, regaled the audience of 75 with the story of his sailing adventures across the Atlantic Ocean and subsequent cruises in the Mediterranean completed over the last few years. Starting in the early 2000s, he and Brian Hall from Grand Bend purchased and outfitted a 40-foot Corbin 39 sailboat, “Necessity”. 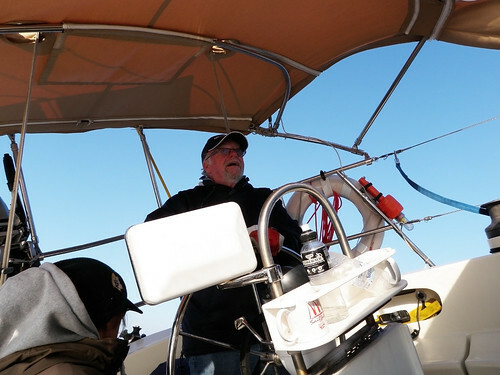 They undertook a few lengthy practice trips on the Great Lakes including a 1,000 nautical mile cruise across Lake Superior to Thunder Bay from their home port of Bayfield. In 2006, Nisbett and his volunteer crew departed Bayfield working their way down Lakes Huron, St. Clair and Erie to enter the Erie Canal on their way to the Hudson River where Necessity was placed on the hard 100 miles north of New York City. In 2007, with the Statue of Liberty in the background, the intrepid sailors departed New York on the first leg of their Atlantic crossing. After an 18-day passage, with some challenging weather, they arrived in the Azores. They sailed around the archipelago of nine islands taking in local sites and soaking up the area’s rich marine history. The boat was stored in the Azores until the spring of 2008 when Nisbett and his crew started their final leg of the Atlantic crossing, a 900 nautical mile passage to Galicia on the northern Iberian coast of Spain. They explored the Spanish and Portuguese coastline along the Atlantic down into the Algarve region. The following year, 2009, Necessity ventured through the Straits of Gibraltar into the Mediterranean. This “Spanish Campaign” saw Necessity’s captain and faithful crew exploring the coasts of Spain and Morocco logging 1,260 nautical miles. The “Roman Holiday” of 2010 took them across the treacherous Gulf of Leon to the French island of Corsica and the Italian islands of Sardinia and Sicily before completing a transit of the Straits of Messina on the passage to the North African coast; 1,300 nautical miles in total. Necessity could be found on the Barbary Coast of Africa in 2011. She was launched on Aug. 1st and over the next four months Necessity sailed 2,000 nautical miles from Tunisia to Turkey. Many ports of call in Malta, Montenegro, Croatia, Italy and Greece were eagerly explored. Passages across the Ionian, Aegean, and Adriatic Seas were completed with the help of nine crew members who had signed up for the “Awesome African Adriatic Aegean Adventure”. Tom and Carol Dawe, Chris Thatcher and Dave Bieman, all of Bayfield, have formed part of Necessity’s crew on the various legs of her voyages. Necessity is now overwintering in Marmaris, Turkey. 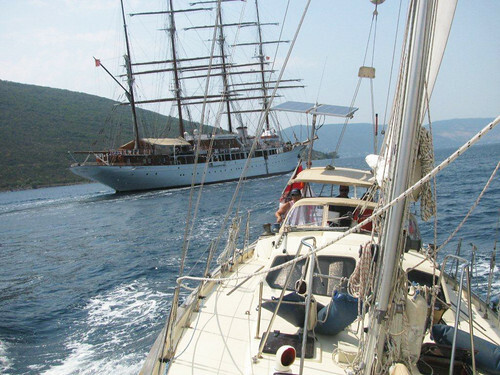 The 2012 sailing adventure along the south coast of Turkey has been planned out, along with a passage over to the island of Cypress. The following year, 2013, will feature a cruise to the Dardanelles continuing on through the Bosphorus to the Black Sea. Not only did the audience get wonderful lessons in the art of sailing and the mysteries of his amazing high-tech sailing vessel Necessity, but was also rewarded by Nisbett’s love of history. At each stage of the adventure, Nisbett described the historical significance of the places he and his crew visited, e.g. Fortress Malta, Corinth Canal, Delphic Oracle, Bay of Kotor in Montenegro, Dalmatian Island of Croatia, Venice and the Greek Islands of Milos and Rhodes (and a great outline of the Punic Wars between Carthage and Rome around 200 BC). Nisbett’s presentation was also part travelogue that included vivid descriptions of exotic ports of call that most of us only know from an atlas, e.g. Tunisia, Malta, Crotone, Montenegro, Corsica, Sardinia and Rhodes. His presentation was supported by a riveting slide show with videos and charts interspersed. The members of the Bayfield Historical Society are looking forward to future chapters of Nisbett’s adventure. 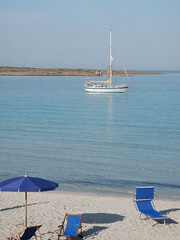 Necessity at anchor off Pelosa Beach in Sardinia, Italy. In the foreground, is the beach shown in the 1977 James Bond film, "The Spy Who Loved Me". One of Nisbett's crew was Bayfield's Dave Bieman. 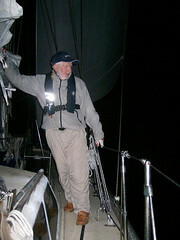 Here, Bieman was photographed while on watch during an overnight sail to Cartagena, Spain. So about a month ago I declared in this very space that I was resolving to make my office a room to be proud of. Well, I’m pleased to report that I’m making some steady progress in that direction.